The Practice Nurses have special skills and training in heart disease and strokes, asthma and diabetes. They can give advice on vaccinations for travel and carry out blood tests, wound dressings, stitch removal, blood pressure checks, vaccinations, cervical smears and healthy living advice. Our healthcare assistant - Paula Austin holds a clinic on Wednesday 07:40am - 16:30pm and Friday 8:30am - 12.00pm. The surgery provides maternity services and GPs like to see patients as early as possible in the pregnancy. In addition the midwife's antenatal clinic is held alternate Tuesday mornings. Midwifery services are provided by the Templer Midwives Team,who are based in Teignmouth and give care to pregnant mothers in the South Devon Area. The usual midwife here in Moretonhampstead is Jane Fowler. Certain minor surgery procedures can be performed by the doctors on the premises (Dr Waterfall and Dr Penfold). This may be more convenient and will save considerable waiting time at the General Hospital. During opening hours the surgery provides a walk in Minor Injury Service. The District Nurses provide skilled nursing care in a range of settings for those who are assessed as requiring it. The Nurses are based at the Moretonhampstead Health and Well Being Hub and are available between 9.00am and 4.30pm. Please contact the Hub on 01647 440217 if you need to contact them. The Practice Health Visitor works mainly with families with young children, the elderly and patients with special needs. The Health Visitor is involved with all aspects of Health education including regular checks for children until they are 5 years of age. We consider your child's health is very important. Advice is always available. The Health Visitor and Dr Waterfall run our child development clinics on Tuesday afternoons. Our HV, Hayley Beer, may be seen at the Child Development Clinic and at other times by arrangement. Childhood Immunisation: Appointments via reception. The Podiatry department offers a service at Moretonhampstead and District Health and Well Being Hub to all those in need who are suffering from certain chronic diseases. The physiotherapist is Elaine McMahon who is available at Moretonhampstead and District Health & Well Being Hub every Wednesday morning 8.30am - 1.00pm by appointment on referral by your doctor. All methods of contraception are available at the Health Centre including fitting contraceptive devices. Teenagers are welcome to use this service and this like all services provided by the practice is confidential. Dr Kidner runs a clinic on Wednesdays. All women over the age of 25 are advised to have a cervical smear every 3 years and women between the ages of 50 and 64 every 5 years. A reminder letter is sent for you to make an appointment with the Practice Nurse when this is due. 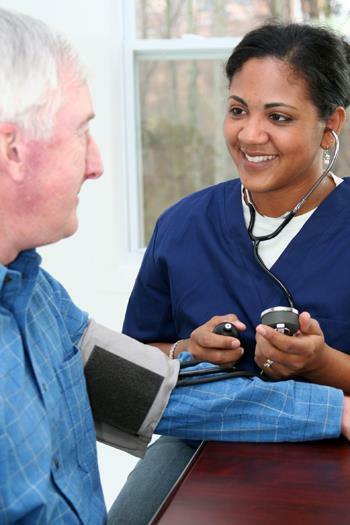 All patients over 75 years of age are invited to attend for a health check. Our Practice Nurse will generally see you and we hope you will take up this offer unless you are regularly seeing a doctor anyway. Home visits can be arranged. The Citizens Advice Bureaux takes place at the surgery once a month. Dates of future sessions are 22nd December 2017, 12th January 2018, 2nd February 2018, 9th March 2018 and every 2nd Friday of the month thereafter. Please contact the surgery to arrange an appointment.